Reading- We continued working on character traits and reading The Lion the Witch and the Wardrobe. 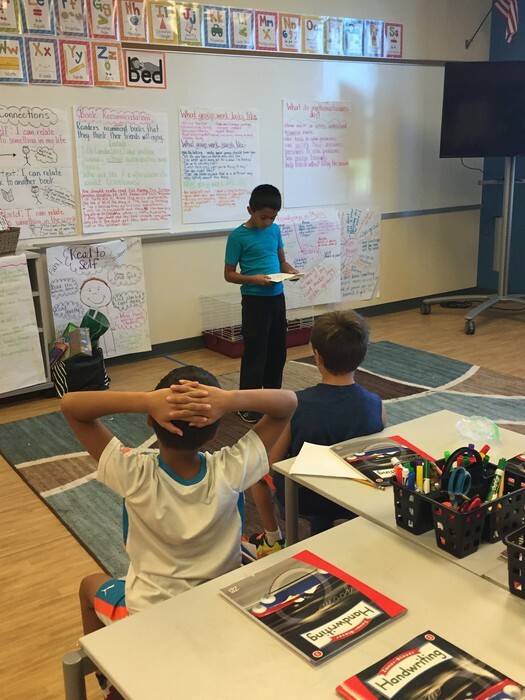 Students should be able to explain a character's traits in their story and providing evidence of how they know the character has that trait. Math- We continued working on addition and subtraction with regrouping as well as rounding to the nearest 10 and 100. We will have a test on Tuesday, Oct. 11th. A study guide will go home today for students to prepare. Writing- We continued working on our Personal Narratives. 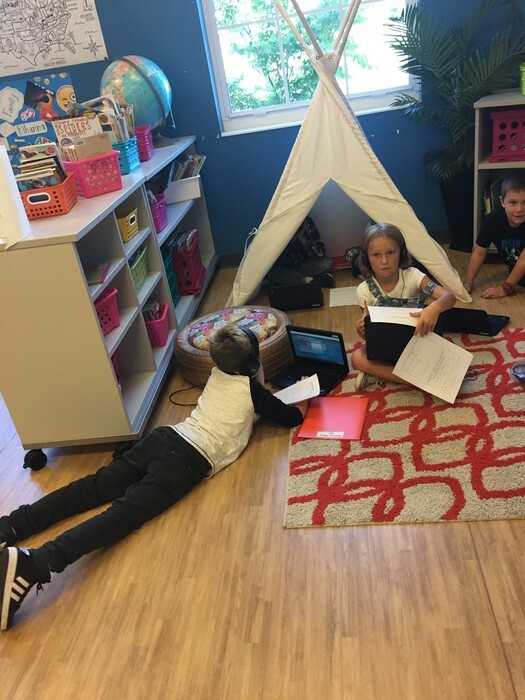 Students focused on brainstorming this week, and we are currently working on writing a "bold beginning" that will catch our reader's attention. 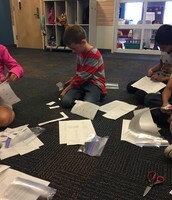 Social Studies- We got our letters written for our Flat Stanley project and mailed them. It took some time to address our envelopes, but our Flat Stanleys are ready to go! No homework menu this week, as we want students to focus on studying for our math test on Tuesday. A completed study guide will come home today. Click here to view that (it will be uploaded this evening). We went through a training to learn all about our ALEKS program and there are some important things you should know about the program. Please do not help your child with these lessons. If your child doesn't understand a question they can click "explanation" and you could help them read through this explanation, but other than that, this is an independent program. Do not allow students to use a calculator unless the ALEKS program gives them the calculator option on the question. Make sure your child has paper & pencil available to workout the problems. This is very important. Click here to learn more information about the program. Their login information is inside their planner. To work on this at home they can visit the website http://www.aleks.com. If you'd like to order books from Scholastic, the classroom code is MBKQR. Orders will be due October 21st. We are so excited about all the orders we've been getting because we get free books from the orders! So thank you for all of your orders!! Students' MAP scores and AIMSweb scores will be coming home today. Please look for a pink form in your child's red folder. There is a letter explaining this testing. 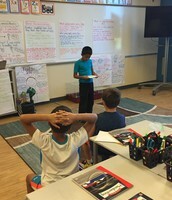 Great job on your book talk, Varun! 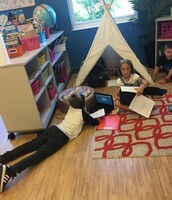 Students working hard to research their Genius Hour topics. 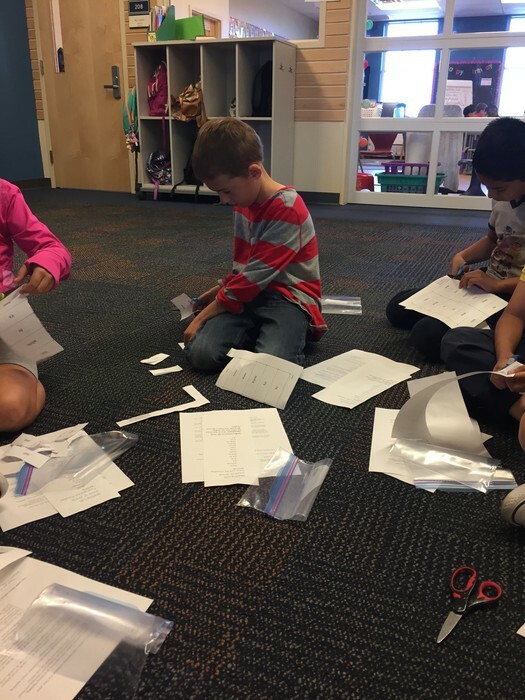 Students cut out word cards to sort spelling words for the week.